We&apos;ve been inundated with celeb beauty lately—from the Victoria&apos;s Secret after-party to the Glamour Women of the Year Awards to the LACMA Gala—but there are a few more looks I still need to show you! The most exciting one (or two, actually) belong to Jennifer Lawrence. Finally, I&apos;m fan again after that two-year period of hair weirdness. 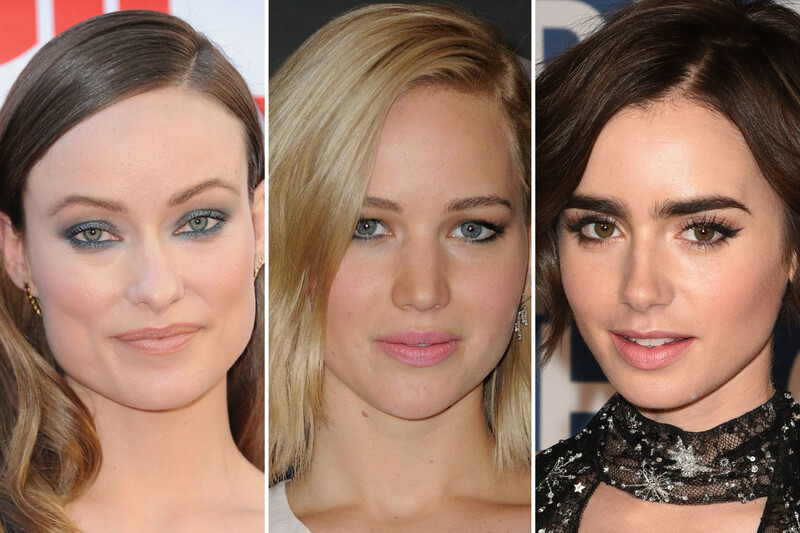 Also on this week&apos;s list: Olivia Wilde, Lily Collins and newbie Cara Santana. Jennifer Lawrence at the 2015 Paris photocall for &apos;The Hunger Games: Mockingjay Part 2&apos;. Close-up of Jennifer Lawrence at the 2015 Paris photocall for &apos;The Hunger Games: Mockingjay Part 2&apos;. Oh yes. This is good. Very, VERY good. Could it even be Life Cut and Life Colour good? I think maybe! I didn&apos;t love Jennifer with short hair, bobbed hair, or even long hair, for that matter. The lob definitely suits her the best, and in this bright blonde, it&apos;s next level. The slightly mussed texture is so flattering, as is her pink lipstick and matching blush. She has never looked better. Jennifer Lawrence at the 2015 Paris premiere of &apos;The Hunger Games: Mockingjay Part 2&apos;. 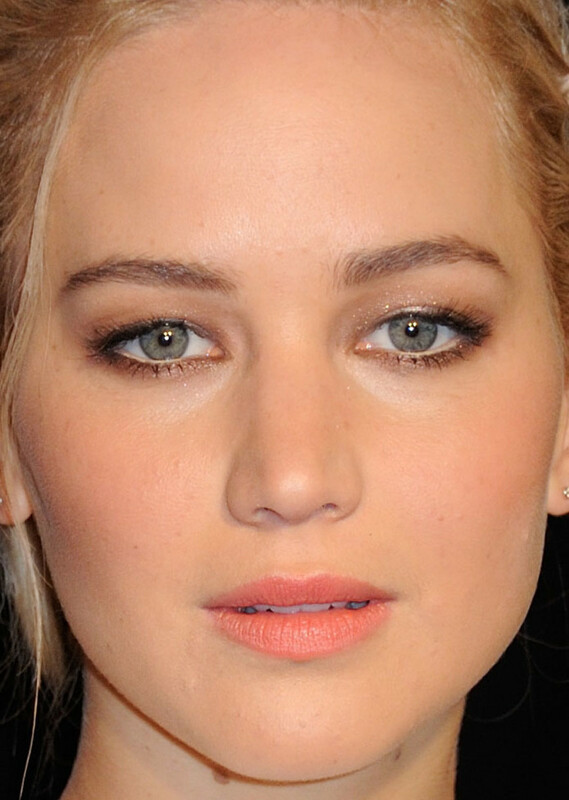 Close-up of Jennifer Lawrence at the 2015 Paris premiere of &apos;The Hunger Games: Mockingjay Part 2&apos;. Oh, but this one is stunning, too! Here, Jen went all ethereal in a braided updo with a few strategically pulled out strands. Her eye makeup is softer in shimmering neutrals, and she traded the pink for peach on both lips and cheeks. The blending is superb, and her skin looks amazing. 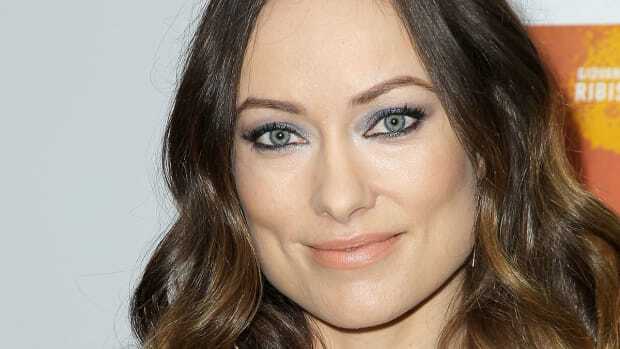 Olivia Wilde at the 2015 premiere of &apos;Love the Coopers&apos;. 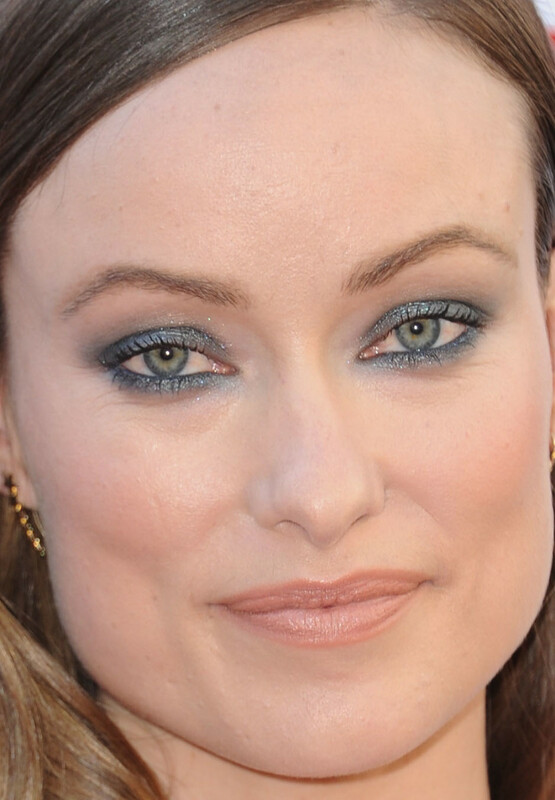 Close-up of Olivia Wilde at the 2015 premiere of &apos;Love the Coopers&apos;. Olivia still does some of the most creative eye makeup on the red carpet. Who knew that shimmering blue all the way around the eyes could look so good? There are a few reasons this works. She kept the rest of her makeup very bare and simple, and her hair is off her face in a clean, deep side part. The shadow itself is well blended, and gently fades to above the crease, adding dimension. There&apos;s also skinny liner in her waterlines for extra definition. I might be trying this! Lily Collins at the 2016 Breakthrough Prize Ceremony in 2015. Close-up of Lily Collins at the 2016 Breakthrough Prize Ceremony in 2015. This is a nice change from all the dark, vampy lipsticks Lily has been wearing lately. With a soft pink mouth, pink blush, long lashes and liquid liner, the effect is sweeter and more feminine. It looks like she also got her hair shaped into more of a bob as it grows out, which is pretty adorable. Cara Santana at the SAG Foundation&apos;s 30th anniversary celebration in 2015. Close-up of Cara Santana at the SAG Foundation&apos;s 30th anniversary celebration in 2015. Cara is new to the blog, and what struck me was obviously her platinum hair colour. It&apos;s great on her! (And her hair condition looks in decent shape, also.) 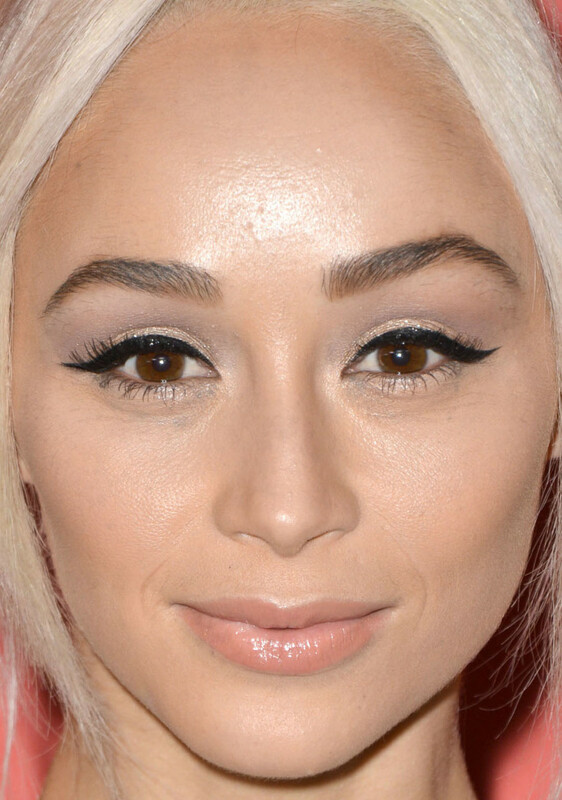 The white-blonde makes her brown eyes and brows stand out so much, and is also really flattering to her skin tone. Bold black cat eyes keep the focus on the eye area, with soft peach tones on lips and cheeks. The only thing is, her brow pencil is leaning too red—a common problem. Close-up of Hailey Baldwin at the 2015 Night of Generosity Gala. The last time we saw Hailey was in the summer, when she was all beachy and strobed to perfection. This look is completely different: it&apos;s centred around a velvety oxblood lipstick with a texture that reminds me of Burberry Lip Velvet, reviewed here. Her skin is also more matte, brows are darker and brushed up, and lashes are long, dark and fluffy. (I don&apos;t mind the lashes in this instance.) I also like the contrast between her polished face and more casual hair, in a high wavy ponytail. Alexandra Daddario at the 2015 Night of Generosity Gala. Close-up of Alexandra Daddario at the 2015 Night of Generosity Gala. Throwing Alexandra into the mix because look how great she looks in less makeup! In the past, she has relied a bit too much on red lipstick and false lashes (see here and here). I think she actually looks more beautiful, and more sophisticated, with only mascara, natural brows and a matte sheer berry on the lips. Her skin just glows, and her hair looks healthy and shiny. Christina Milian at the 2015 premiere of &apos;The Lion Guard: Return of the Roar&apos;. Close-up of Christina Milian at the 2015 premiere of &apos;The Lion Guard: Return of the Roar&apos;. I&apos;m so sad that Christina ditched that fabulous bob already! I guess she got extensions to create this longer, shaggier style with bangs instead. It&apos;s not my fave, but what I do applaud is the makeup. The sheer orchid lip colour is amazing with her skin tone, and it&apos;s always cute to see people&apos;s freckles. Even the lashes are toned down (I think?). Katharine McPhee at &apos;The Grove Christmas with Seth MacFarlane&apos; in 2015. Close-up of Katharine McPhee at &apos;The Grove Christmas with Seth MacFarlane&apos; in 2015. Sienna Miller at the 2015 Montblanc de la Culture Arts Patronage Awards. Close-up of Sienna Miller at the 2015 Montblanc de la Culture Arts Patronage Awards. I remain hopeful that Sienna will tweak her hair colour soon... it&apos;s just so yellow. But in the meantime, let&apos;s be happy about seeing such fresh, bare skin. Plus no fake lashes and no visible brow-filling. 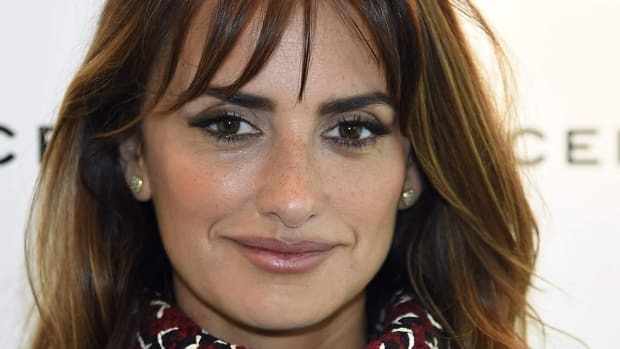 Although I wouldn&apos;t be opposed to adding a shot of colour on the mouth, she is doing the new matte, bare-ish lips that all the cooler celeb women are wearing lately. I guess I like this one because of what&apos;s not here, more than anything else. Italia Ricci at the 2015 launch of Fallout 4. Close-up of Italia Ricci at the 2015 launch of Fallout 4. Italia has such pretty features and a flawless complexion, so I appreciate that she&apos;s not covering any of that up. Her skin makeup is sheer, showing off her freckled nose, with just black liner and a shimmering berry lip gloss. Hair is straight and super-shiny. I still want her to grow out her eyebrows (if she can)! Sarah Hyland at &apos;The Grove Christmas with Seth MacFarlane&apos; in 2015. Close-up of Sarah Hyland at &apos;The Grove Christmas with Seth MacFarlane&apos; in 2015. Sarah is still wearing more makeup than I think she needs, but let&apos;s give credit where it&apos;s due: this look is pretty cute, and fresher than her normal. I like the pairing of coppery eyeshadow with classic red lipstick, and her lashes aren&apos;t too extreme this time. Yeah, I&apos;d still like to see her without the contouring, and all-one-colour hair, but at least she&apos;s not covered in glitter? Zooey Deschanel at the 2015 Governors Awards. 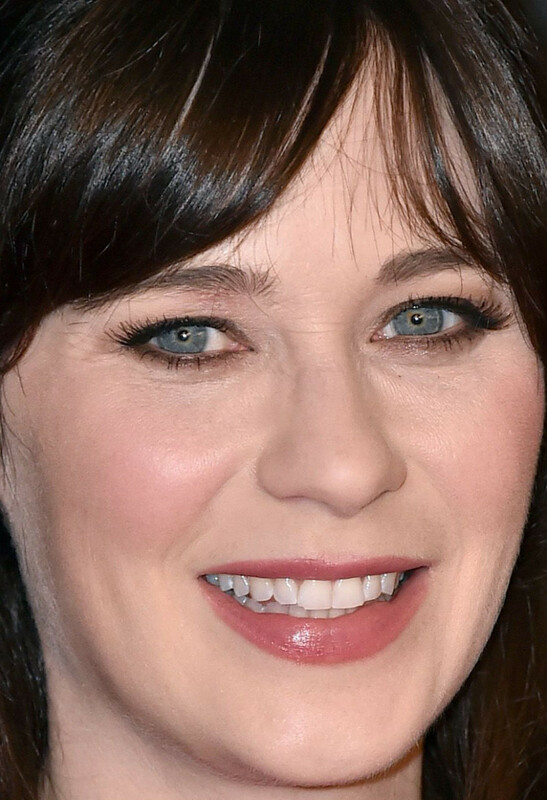 Close-up of Zooey Deschanel at the 2015 Governors Awards. Zooey&apos;s last appearance on this blog didn&apos;t go over so well, but she looks a lot more well-rested here. I feel like half her problem is that she&apos;s putting too much liner/shadow under her eyes, and the lashes are again. Also, she tends to go too heavy on the blush and could use more current makeup colours in general. That being said, her eyes still twinkle, her skin looks nice and smooth, and her hair is incredibly glossy.